'They say these monkeys are sacred’, our tour guide chuckled to himself in sheer delight. I shrugged, returning his giggle with a knowing smile. Up until now, the notion of holy primates might have seemed pretty ludicrous to some. They do spend their days plucking lice from one another, after all. However, having spent the morning touring the temple-clad streets of Ubud, I was beginning to comprehend the significance of religion. As it turns out, in Bali, almost everything is sacred. 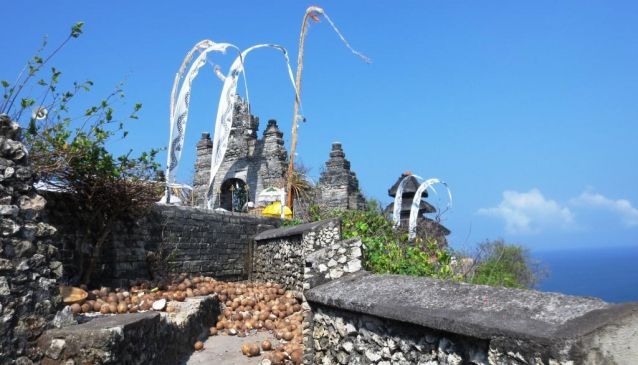 While wandering around an ancient temple earlier that day, our tour guide had explained that nearly 90 percent of Bali’s population practised Hinduism. Happy to do so, he enlightened us about the impact this has upon daily life. He may have been smiling, but I understood the gravity of his statement. With constant preparation for ceremonies and festivals, all personal gain had to be put aside for dedication to faith. I probed him a little further, questioning the necessity of the luminous sarongs that had covered our legs at the time. He went onto explain how his barber apologised at every visit, before proceeding to cut his hair. Clearly, spirituality was not something to be taken lightly. 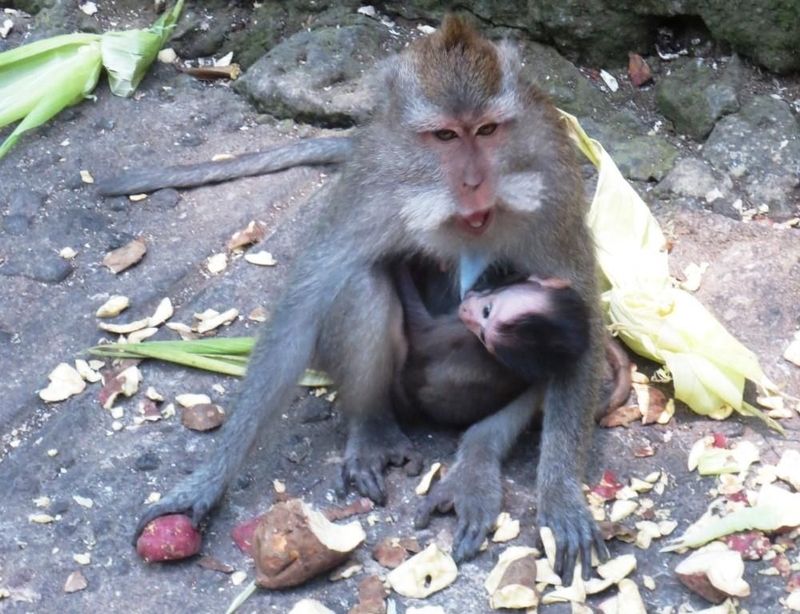 So, for this very reason, by the time we were nestled within the leafy folds of the Ubud Monkey Forest, the word ‘sacred’ was yet to elicit an emotion. Other than the aforementioned shrug, of course. It wasn’t that the monkeys weren’t cute. Boy, were they cute. Bouncing around, grasping bananas and snatching water bottles from tourists - it was all very entertaining. However, aside from an oversized chimp hissing at me (perhaps I had displeased the Gods) I was yet to feel any kind of religious sentiment. Moving swiftly on from the monkey forest - I think our guide could guess at our growing restlessness - we journeyed to the heart of Batur region. Yet another sacred spot, this area is renowned for its potent active volcano, Mount Batur, lording over a shimmering lake. Stopping at our lookout point, a verge carved into the mountainous village of Penelokan, our guide educated us about the significance of the Balinese mountains. ‘We have four sacred mountains: Agung, Batur, Batukao and Abang. The highest of them all – Gunung Agung – is considered the most sacred. This before you, Mount Batur, however, is also very sacred; it is the home of Dewi Danu, the Goddess of the Lake. Giving nourishment to the land, she is responsible for all the water distributed to central Bali’. This abiding reverence for nature in all its forms was becoming a bit of a recurring theme; however, I was starting to see why. With visions of palm-fringed jungles and glistening lakes before me, how could I not?! It wasn’t until our final stop of the day, however, that any real reverence ensued. Perched upon a craggy peninsula overlooking the Indian Ocean, Uluwatu Temple simply radiated serenity from the moment we arrived. A sentiment clearly reflected in the surrounding landscape, the gnarled cliff – withered by the gradual passing of time – clung ferociously to its virtuous asset. 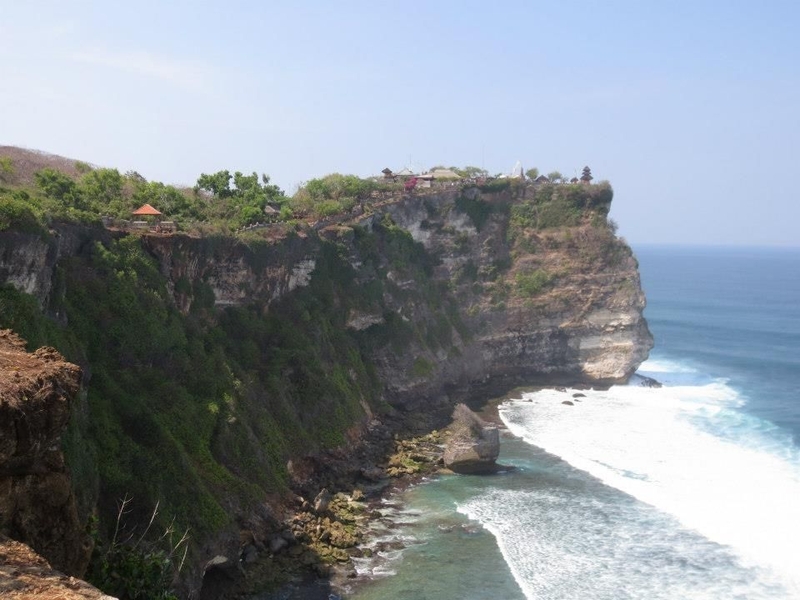 As we wandered through the outer shell of Uluwatu to reach the inner sanctum, we were suddenly struck by a bustle of activity. There was a festival taking place and we had just strolled right into the ceremonial core. Standing back to admire the scene unfurling, we looked on with wide-eyed wonderment. Gaggling groups of men and women had assembled in small clusters, eagerly anticipating their call to prayer. Smiling, chatting, and passing colourful offerings to one another, their animated excitement was both humbling and contagious. Silencing their chatter with a sudden stroke of solemnity, a bellowing sound echoed from a nearby speaker. Ascending into a rigorous chant, this spiritual prompt ushered the people to prayer like clockwork. Obediently filing through the temple doors, one by one the groups dwindled as individuals disappeared into the distance. Suddenly left stranded on the periphery, the foreignness of my presence was all too apparent. I longed to stride through the temple doors after them, joining in their meditative state. That was when it hit me: the religious sentiment that I had been so avidly searching for all day. With the power to move even the most pessimistic of people, Bali’s abundance of soul and rich tapestry of light and colour had won me over. Perhaps some things are truly sacred after all.